In civic classes across the country, high school students are being taught about the different levels of government, how bills become laws and the intricate workings of Canada’s parliamentary system. But what about urban design, civic participation and local action? Young people hear that their voice matters more and more, but in many classrooms and schools across the country there is a gap between local government and civic participation. That’s why Ryan Lo co-founded Urban Minds, a Toronto non-profit organization that seeks to include youth in city building. 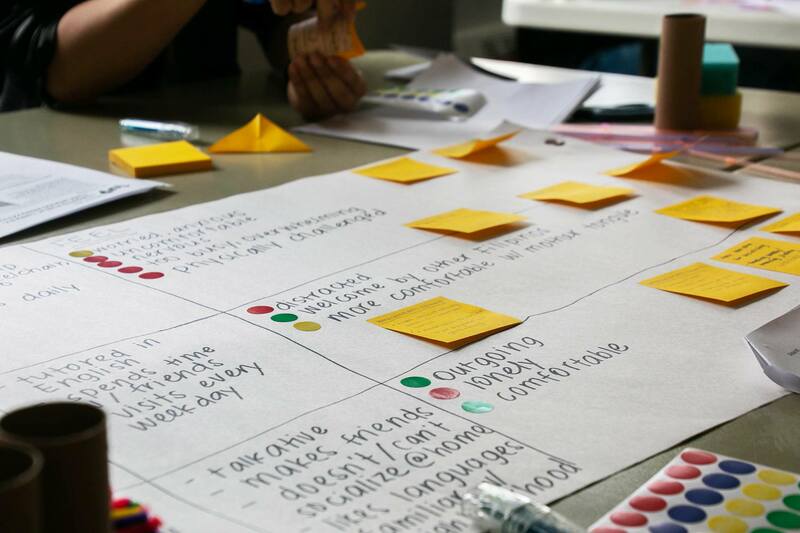 Much of Urban Minds’ work centres on their 1UP Youth City Builders Program, a year-round project that concludes with a city building conference exclusively for its high school participants. Half of this conference is centred on capacity building through workshops, while the other half is the 1UP Design Jam, where participants get to apply the lessons learned that day in a planning charrette-type session. In 2019, 1UP partnered with the Toronto Public Library for its Design Jam, asking the students to reimagine the youth spaces at the York Woods Library, a branch set to be renovated later this year. The end results were impressive and show the great impact of having youth involved in the design and planning of public spaces. The winning team proposed a multipurpose space called the Woods Café that includes social spaces, a "Grub Hub," study stations, and an app called "Connect You" that learns about the users' needs and suggests spaces to use and events to attend. “The [Toronto Public Library] was blown away with how thoughtful, creative and capable the participants were,” says Lo. 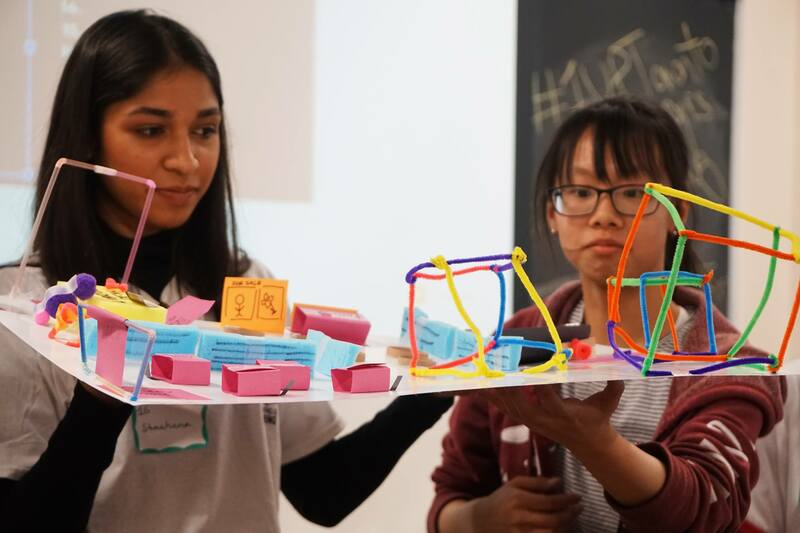 For Mengyu Gao, a grade 11 student at Pierre Elliot Trudeau high school in Markham, Ont., the Design Jam was a great way to connect and network with peers who have a wide variety of urban planning knowledge. Gao is one of 1UP’s Fellows, a group of students that lead chapters embedded in their high schools. Functioning as a school club of sorts, the chapters work together on city building projects in their schools, from adding temporary seating to an underused outdoor space, to transforming a neglected area into a spot for students to de-stress. At Pierre Elliot Trudeau, Gao and his fellow city builders sought to break down barriers to transportation, creating a streamlined bus schedule geared towards students and their hours, taking out the night and Sunday schedules, and adding popular destinations such as the GO station and shopping centre. 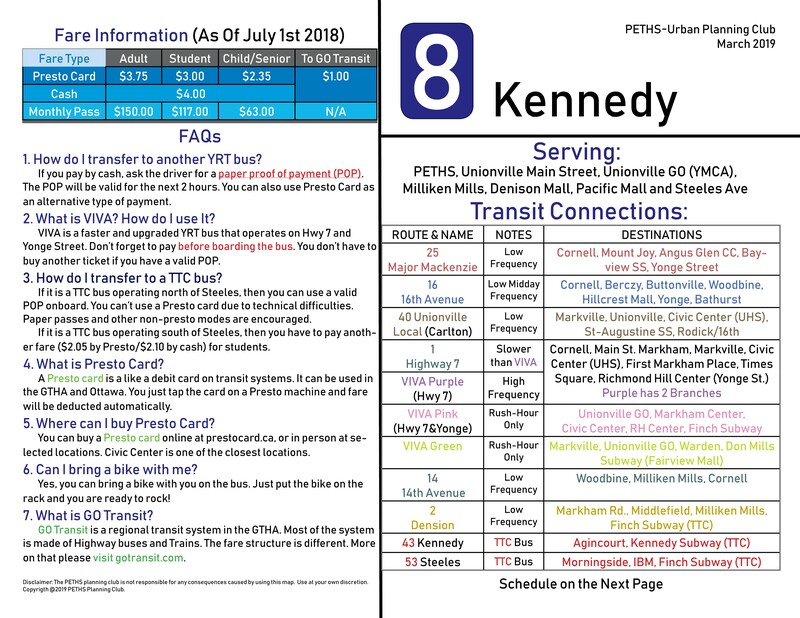 A digital version of the pamphlet the 1Up participants created for their fellow students in Markham, complete with a streamlined schedule and FAQs. The 1UP School Chapter’s projects showcase the thoughtful and creative outcomes when high school students get involved in local city building initiatives. But Lo adds that in order for programs like 1UP to be offered in more schools, there needs to be a culture shift. “Administration in schools and teachers can play a role in creating and facilitating opportunities where students can learn by doing, try working on these projects … to really understand the concept of how you can create change from the grassroots level and make our neighbourhoods and cities better,” he says. It’s not just students who will benefit from these programs, but the schools and communities as well. A diversity of voices, perspectives and experiences in city building creates more equitable and flourishing cities. Learn more about Urban Minds, its 1UP Program and how you can get involved. Want to learn more about the initiatives helping cities flourish? Never miss an update by subscribing to Evergreen News.